January | 2016 | Community Alliance S.A. Although most building developments in this state are appropriate, there are an increasing number that seem out of place or that would even, in most people’s opinions, be “seriously at variance” with the local Development Plan. The State Government’s desire to remove the “seriously at variance” clause from the planning legislation would make matters even worse. If you have any stories to share on developments (or proposed developments) you think are out of place, please contact us. 270 The Parade which is the administrative headquarters for OTR/Peregrine, which is owned by the Shahin family. The current building which is 2 storey is to be replaced by a 5-6 storey building, which will incorporate a restaurant on the ground floor, 2 levels of carpark, 2 levels of administration and a deck on top. This site is on the very busy corner of the Parade and Portrush Rd and presumably will stretch from the Parade right across to High St. Details have been announced by the Shahin family in the Advertiser 26/11/15 and in the local paper. The proposal has been gazettted at that time. When the more detailed proposal is released interested parties will have a very short time to respond. This is happening before the rezoning of this section of the Parade has been properly addressed. This is a precinct with significant state heritage buildings, 2 schools, homes and small businesses and streets that are already struggling with parking needs and a highway that has a large no. of heavy vehicles using it constantly. I am in the unfortunate position of being next door to a newly proposed multi-storey residential apartment block to be located at 225 Prospect Road (5 storeys, 32 apartments, 40 car parking spaces!). It’s a big problem for me, not least of which includes 16 balconies directly overlooking front and back yard private open spaces with no set-backs, noise/light/air pollution within 3m of bedrooms, massive shadowing problems (basically I may never see the sunlight again! ), and significant safety issues owing to the number of cars (in close proximity to a major intersection). That’s just for a start….! The problem is compounded by a second development at 227-229 Prospect Road (4 storeys, 24 apartments, 29 car parking spaces). That’s 69 additional cars entering Prospect Road, within 50m of a major intersection, where I believe dangerously unsafe conditions already exist! At this stage, I feel like I am fighting this ridiculous situation all on my own. I am no expert on building regulations, the Development Act, Development Plans etc, and have zero experience with appeal processes. Yet I know that that there are a great many people affected by similar development problems all over Adelaide. My voice is but one, and I can’t help but feel the residents of the many affected areas of SA might be stronger if we act together as a combined force. 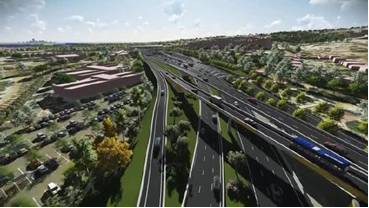 When big is not better…..
Crude and out-dated traffic modelling is being used to justify massive road building projects across Australia, according to Peter Newman, Professor of Sustainability at Curtin University (InDaily Jan 18th 2015). Professor Newman says that the huge road projects in Melbourne (East-West Link), Sydney (West Connex), Brisbane (Gateway) and Perth (Freight Link) are “dangerous as they destroy so much of the urban fabric necessary for rejuvenation and take away the ability of governments to pay for the more important urban rail projects on their agendas”. 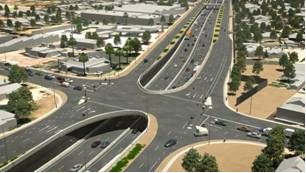 The same could be argued for Adelaide’s “upgrade” of South Road into a cross-city freeway.